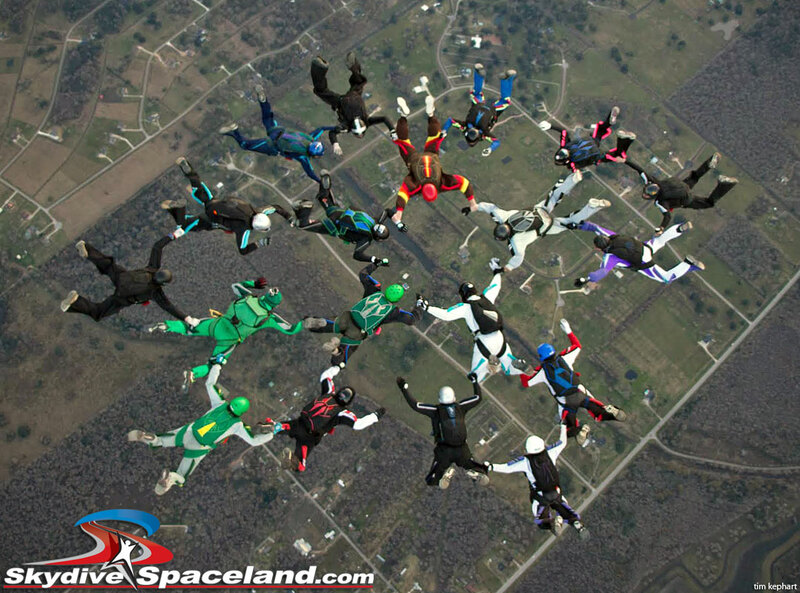 On January 17th, two weeks after the original date was rained out, 19 Skydivers over Sixty (years of age) set a new World Record at Skydive Spaceland in Rosharon, Texas. Nineteen jumpers completed two points (two separate skydiving formations) to set the new Skydivers Over Sixty (SOS) world large-formation sequential record on the fourth try of the day. The record organizer was Rick Poplinger and the jumps technicians were George Nisson and Mark Pharr. Mark as well as Wendy Parrish and Marian Sparks were new to the SOS organization. 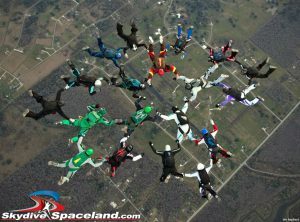 This was their first event with the Skydivers over Sixty, which turned out to be quite an eventful one. Now that this record has been set, several of the jumpers are looking forward to participating in the upcoming formation record attempt at Elsinore, California. Dad and winner in my family! 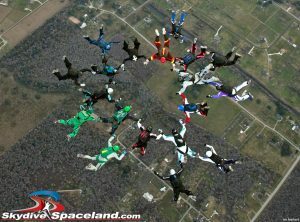 Next PostNext Skydiving Currency: Use it or Lose It!